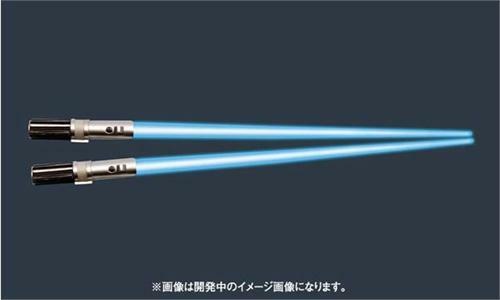 We've finished processing and shipping preorders for the Star Wars Light-Up chopsticks and new orders are welcome. There are a few orders where our shipping software indicates a possible change of address for the recipient but we'll contact everyone on that list tonight. Thanks. 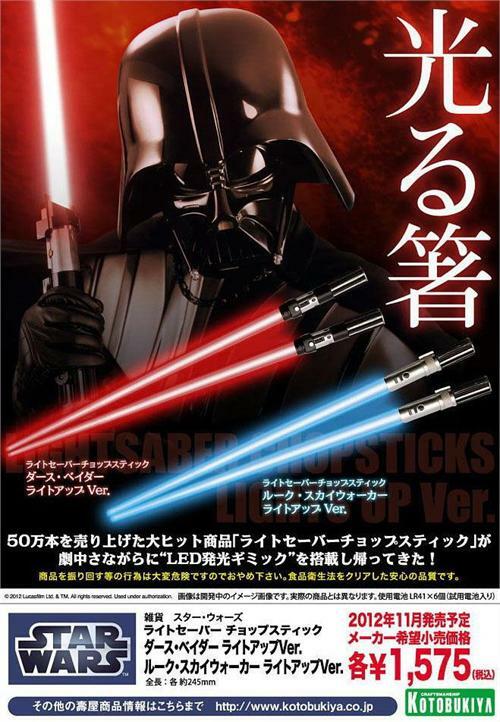 After being delayed since December of 2012, Kotobukiya is finally re-releasing fixed versions of the Star Wars Light-Up Chopsticks which are now scheduled to ship in February 2014. All preorders are on file and NCS will process and ship reservations once the chopsticks arrive. Sadly, the Light-Up chopsticks are still in 'recall status' from the manufacturer. Once a new ship date is officially announced, we'll notify customers of the shipment arrival. Thanks for your attention. Please note that the latest information from distributors places the release of the fixed Star Wars Light-Up chopsticks next month but we'll update accordingly once more information is available. Thanks. Kotobukiya's letter to Japanese customers and retailers regarding the recall may be viewed here. The document is in Word format and explains that the recall is due to a defect in the power supply unit / battery in the chopsticks. The letter goes on to apologize to customers who have already purchased the product and lists the contact details for returning the defective chopsticks to the company. The letter doesn't mention when the fixed chopsticks will be made available but we're guessing late January 2013. According to our Japanese toy distributor, the recently released Star Wars Light-Up Saber Chopsticks are being recalled by Kotobukiya due to a manufacturing defect. We're waiting for full details concerning the nature of the defect but all shipments of this product are being recalled and any shipments that are already in transit will have to be sent back due to what the distributor is describing as 'electrical issues.' We were hoping to get reservations for the chopsticks shipped out this week ahead of the Christmas holiday but this is a pipe dream at this point. Kotobukiya is allowing shipments to be returned up until June 2013 for the recall. We're speculating that some early users of the chopsticks were being shocked by an electrical charge as they lifted saucy ramen noodles from a steaming bowl to their eager lips but that's just our wild-eyed speculation. We'll post additional information tomorrow when we receive a copy of Kotobukiya's recall letter to Japanese retailers but all reservations for the chopsticks will be placed on hold and we'll process orders when the fixed chopsticks ship from Kotobukiya. The chopsticks have been released by Kotobukiya this week and are in transit from Japan but please note that we're not sure if they'll arrive in time for the Christmas holiday due to the delay. Once a shipment is on the way, we can only wait for the packages to meander their way to the United States, clear Customs, and finally get delivered to our company in New York City. We'll make every effort to ship them out once they arrive but again, we cannot confirm that they'll arrive to customers in time for the Christmas holiday. As of last night, toy distributors in Tokyo have not received the chopsticks yet from Kotobukiya but we'll post an update once they have them in stock and have dispatched our shipment. 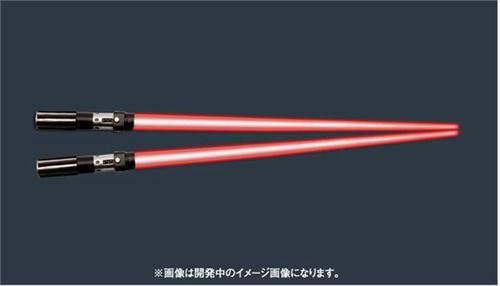 According to the toy distributor in Tokyo, the Stars Wars Light-Up Chopsticks are scheduled to be released in Japan on December 10, 2012. If there are no further delays, NCS should receive the product in the United States on December 17 and we'll begin shipping reservations upon arrival. Thanks. Please note Kotobukiya has not released the Star Wars Light-Up Chopsticks yet but we'll post an update once distributors in Japan have them in stock and ready to ship. «©NCSX» The original Star Wars chopsticks didn't light up. Fail. Kotobukiya remedies the lack of chopstick illumination with a new version which is fitted with an LED so the Darth Vader version glows red and the Luke Skywalker variant burns blue. Preorders are welcome to ship in December 2012 at JPY1500 or US$22.90 per pair.